Analysis of a website is important to get complete knowledge about its performance whether you are buying it or designing a new one for you business. A little knowledge about your website will be total wastage of the money spent on it. If you do not know how optimize your website on search engine then even a beautifully designed website can not be useful for your business. But if you know how to SEO your website then you can modify your simply designed website according to the need of your business and for that purpose you should know how to analyze it. Analysis of a website is important to get complete knowledge about its performance whether you are buying it or designing a new one for you business. Website analysis can help you in making a good looking and effectively performing website on search engines. There are certain factors that can help you in analyzing your website including Meta tags, analysis of homepage links, analysis of related websites, link popularity and keyword density. Brief information about these factors is provided in this write up for your guidance in this regard. Search engines get more information about a website or web page through its Meta tags. This information is not apparent to the visitors of the website as it is understood only by the search engines. These Meta tags are found in the upper portion i.e. <head>of the web page. Some SEO experts may opt to use them in the body of the web page but they may not get effective results from them as they will not be recognized by browsers of several search engines. Usually attributed names contained in the Meta tags help in setting the type of metadata of the webpage which in turn help in evaluating the content attribute of the website. In this way it is important to analyze Meta tags of the website to analyze about its performance potentials. Analysis of homepage links is another factor to know the performance capability of a website. The main aim of search engines is to bring up few of the best web pages as a result of search on some particular topic. For this reason most of the SEO specialists focus on developing inbound links as well as links with other websites so that search engine can not ignore them. These inbound links also work as the voting by other website in favor of the content of your website which also informs search engines about your content. The search engines notice these internal votes and help in SEO of the website. For new websites it is better to vote for the website internally, unless your website get considerable traffic, so that search engine may notice its presence and bring it to the top ranks depending on various other factors. 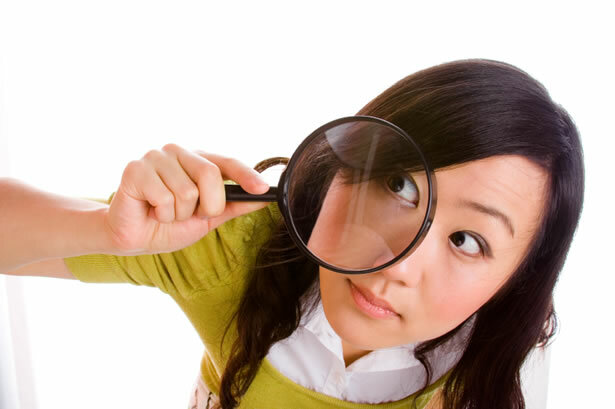 Analysis of related websites is another important factor to be focused on while analyzing a website. This analysis will help you in knowing about the performance of related websites and the methods used by them for their SEO. In fact SEO of any website helps in improving their rank on the search engine results which increases the traffic of visitors to it. Any business earns more with the increasing footfall of the customers. Similarly the increase in number of visitors will increase the opportunities of their conversion into real buyers. So for that reason it becomes necessary to analyze related websites to improve the SEO of your own website. Link popularity of a website means that the website is recognized by how many links. Normally two different types of links are assessed while evaluating the link popularity of a website, internal and external. How many links are pointing towards a website from within its web pages, help in assessing internal link popularity of the website. The numbers of links from other website that lead search engine towards a particular website are known as external link popularity. The websites that have high link popularity have reputation of being optimally informed to the search engines and are placed on their high ranks. Search engines usually use link popularity while ranking closely ranked two websites. You can not only build an effective website but also display the goodness of your website to others on the basis of its high link popularity. When the links from other web pages point towards a particular website then they not only vote for that particular website in the ranking on search engine but also they also attract additional traffic for that website. Search engines rank closely placed websites on the search results on the basis of their link popularity. The website with highest link popularity is placed o the top rank on the search engine results. So while analyzing a website it is important to know about its link popularity. Keyword density is also an important factor to be focused on while analyzing a website. Keywords or key phrases are normally used in the content of a website to enable search engine in recognizing them in response to any search on some particular topic. Keyword density means the percentage number of times the keywords are used in the content of the website as compared to its whole content. For instance your website or web page has 100 words in all in its content including captions, headings and other texts. If the keyword is used three times in this content then its keyword density will be calculated as number times of keyword use multiplied by 100 and divided by total number of words in the content. In this case it will be 3%. Keyword density is calculated on the basis of the content displayed on the webpage of the website. Usually people use reasonable keyword density for its effective SEO as some search engines avoid entertaining the websites with high keyword density. Thus keyword density also plays an important role in analyzing the performance of a website. Thus if you are developing a new website or buying a website from a web designer for your business then it is necessary to analyze its performance capabilities so that you may know it completely. Little knowledge about your website will be merely wastage of money.